Most people, who are married or have children are aware of the fact that they should have life insurance. After all, should something happen to you, you’d want to ensure that those you care about most are well taken care of. On the other hand, if you’re young, healthy, and single, life insurance might seem like an unnecessary investment. In fact, the idea of your death in any aspect probably hasn’t even crossed your mind. Or it might seem like a morbid topic not worth discussing. Contrary to common misconception, however, just because you’re single, doesn’t mean you don’t need life insurance too. Most financial advisors would agree that there’s really only a minute percent of the population that doesn’t require life insurance at all. Ergo, whether you see yourself staying unattached or not, here are seven reasons single people need life insurance too. When you think of dependents, you mind automatically thinks of children. However, you might have dependents you hadn’t necessarily thought of that’ll need help in the event of your untimely passing. It’s not uncommon for single people to take care of their aging parents or possibly a sibling in need of extra care. If you support this person financially already or know you’ll have to in the future, life insurance is imperative in order to cover that cost. No matter how healthy you are, life happens, so do your best to ensure that those family members that depend on you won’t be left in the cold. The older you get, the more expensive life insurance gets. After all, insurance companies know that as you get older or your body begins to wear, chances become higher that you’ll either have medical work done or complications that could lead to your passing. In other words, you’re more of a liability. Unfortunately, for those of an older age purchasing life insurance, that also equates to a more expensive price. When you’re young and health, however, insurance companies are willing to provide you with life insurance at a fraction of the cost. Hence why you might as well acquire it even while single. Unless you’ve done a fantastic job of saving and paying off your debt, or have come into a cushion of sorts, you no doubt have some sort of debt to your name. Even upon death, your debt doesn’t disappear. While some loans, like your federal student ones, do get eliminated when you die, most others don’t. As much as we’d like to believe that they’d disappear into thin air, someone else will have to inevitably absorb your debts. Life insurance provides those responsible for your estate and bills with the necessary funds to settle them. Again, while it might seem like you have forever to pay off your debts, it’s important to make sure they’re taken care of if forever is shorter than it seems. Anytime you enter into a joint financial venture with someone else, things have a tendency to become complicated. If you own a business with a partner, while there should be a clause in your contract in the case of someone’s death, it can also be important to have life insurance for such a scenario. In the event of your death, your business partner might lack sufficient funds in order to keep the business running. By opting for life insurance, your business partner can rest knowing the company will be taken care of. Kids or a spouse might not seem like they’re on your horizon, but there’s no telling how you’ll feel in five or ten years, or maybe you know you’ll have kids someday, just not now. Whatever the case might be, it’s never a bad idea to plan for your future. Purchase life insurance while you’re younger and healthier. This way you have some sort of coverage come the day you do have children or a spouse. Moreover, you don’t have to sign up for complete coverage just yet, just enough to create a base. You can always add or increase later. To get a life insurance quote online, visit Haven Life. Even if you’re single, someone, whether it’s a friend or relative, will have to handle your arrangements should you pass away unexpectedly or not. No matter which route you’d like to go, in terms of funeral arrangements, putting someone to rest and hosting a service is no inexpensive matter. In total, the average cost of a funeral can run you up to, and in some cases, over $11,000. Preparing for these possible expenses is a way to lift the burden off your loved ones. Again, you don’t necessarily need a complete or large policy for this, just enough so that no one else is forced to cover the costs. Having a life insurance policy can do more than just cover your expenses or help friends and family. If you’re someone who has a particular charity or cause that you’re passionate about, why not leave something behind to benefit it? When you’re young you don’t always have a lot to give, which can make charitable donations low priority at times. If you invest now in a life insurance policy, however, you can put all or a portion of it towards an organization you care about. So, even if you don’t have dependents that money will still go towards a good cause. Life insurance ads have a tendency to show smiling families and couples. While there’s no saying that those people aren’t their target, it doesn’t mean that they’re the only demographic that needs a plan of coverage. 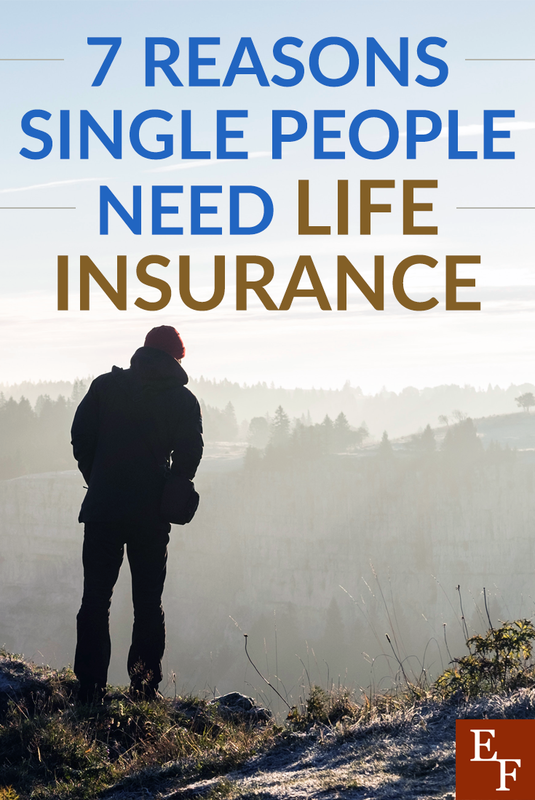 No matter where you’re at in life or what you plan for your future, single people need life insurance. Consider the people and expenses you might be leaving behind to those left to take care of your things, and make the decision to invest in a plan for yourself. Do you have life insurance? Do you think single people need life insurance? Genetic Profile and Life insurance – A Near Reality?